Pears, a soap with 200 years of heritage, is prepared with a unique process of moulding & then matured till it reaches pure transparency. Each bar of Pears soap is still finished by hand and checked by eye. It's crafted to be gentle on the hands and is dermatologically tested to be mild on your skin. Pears Pure & Gentle Transparent Soap Bar with Natural Oils carries our iconic fragrance of natural oils like Rosemary, Lavender and Thyme. 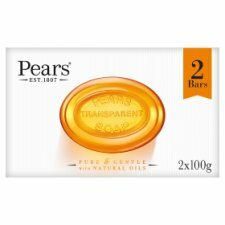 Lather up your Pears Transparent Soap Bar and massage the smooth, rich lather over your face and body enjoying the iconic fragrance of Pears. Rinse away with warm water and enjoy soft, clean skin. If you like our Transparent Soap Bar then why not try our Shower Gel or our Liquid Hand Wash? We have three lovely fragrances; our iconic fragrance made with Natural Oils, our uplifting & refreshing fragrance with Mint Extract and our mild & refreshing fragrance with Lemon Extracts. 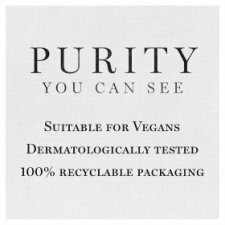 All of our Body Washes, Liquid Hand Washes and Transparent Soap Bars are suitable for Vegans. At Pears we care about the environment as well as your skin so we've made all of our packaging 100% recyclable. 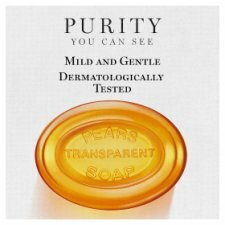 Dermatologically tested to be mild on the skin - the perfect bar of soap!